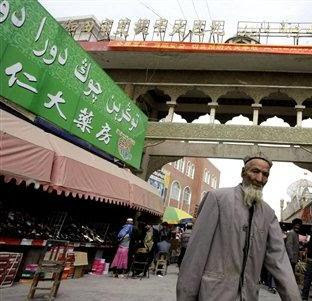 The Chinese Turkestan is a region that has a predominant Muslim population for centuries, but not much was known about Muslims in this region and other parts of China till recently. With the Communist country, at last, opening its doors to outsiders and journalists rushing to Tibet and Xinjiang, new facets of Chinese life are emerging. The photographs of the streets of the Western region of Xinjiang surprised me. Like the picture on the left (above) that shows Arabic alphabets. The signboards were readable and the script was Arabic and similar to Urdu. Such signboards are common in this region of China. The Uyghur language which is written in Arabic script is spoken by over 10 million people but it is surely a miracle that despite state oppression, the script has survived to this day. 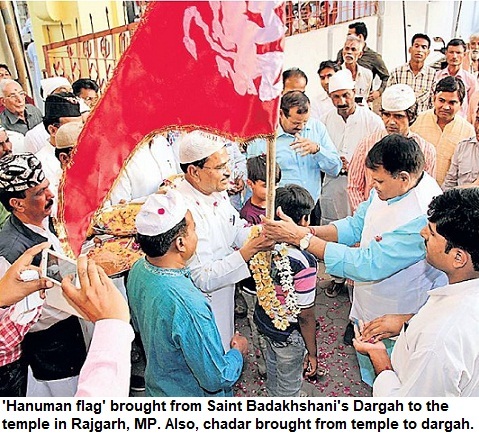 In India, within sixty years after independence Urdu script has almost gone out of public life even in Muslim dominated towns of North India. Here the State governments may be apathetic to the language but the situation is not that bad either, as academies have been established to promote it. But the survival of the Uyghur language's script is nothing short of a miracle in a closed country like China. Though Xinjiang (formerly Sinkiang) may be called Chinese Turkistan, it had little contact even with Muslim countries of Central Asia that were also under Communist rule. But for over a millennium the script survived in this region. And this is truly mind-boggling. The Uighurs have braved persecution for centuries. Under the communist rule the mosques were closed and it was no allowed to build mosques. 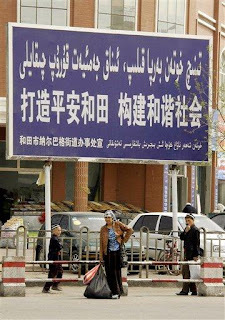 Other than Xinjiang, Muslims form a large section of population in Gansu, Ningxia, Yunnan, Henan and other provinces including Central China. Apart from Uyghurs, the Hui also number over 10 million and are mostly Muslims. Even cities as far as Lynxia have a predominantly Muslim population and has 30-odd mosques. Xian, an important city that was considered the end of Silk route also has substantial Muslims and so is the capital Beijing. Another interesting fact about Hui Muslims is that many of them write Ha for Hasan and Hu for Husain in their names. Also, Ma and Han are used for Muhammad. Clearly, we need to know a lot about China!